On June 20, 2018, about 1245 eastern daylight time, Aircraft Manufacturing and Development Company CH2000, N239AM, was substantially damaged during a go-around at Plum Island Airport (2B2), Newburyport, Massachusetts. 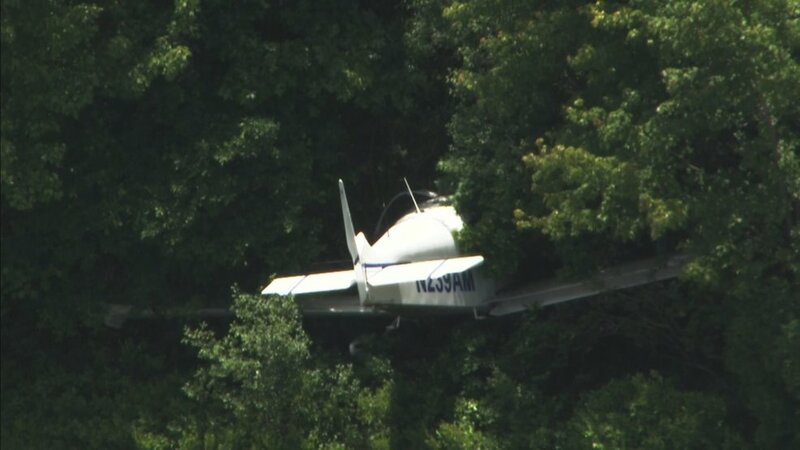 The private pilot sustained minor injuries. The airplane was operated by Bald Eagle Flying Club under the provisions of 14 Code of Federal Regulations part 91 as a personal flight. Visual meteorological conditions prevailed, and no flight plan was filed for flight that originated at Portland International Airport (PWM), Portland, Maine at 1142 and was destined for 2B2. 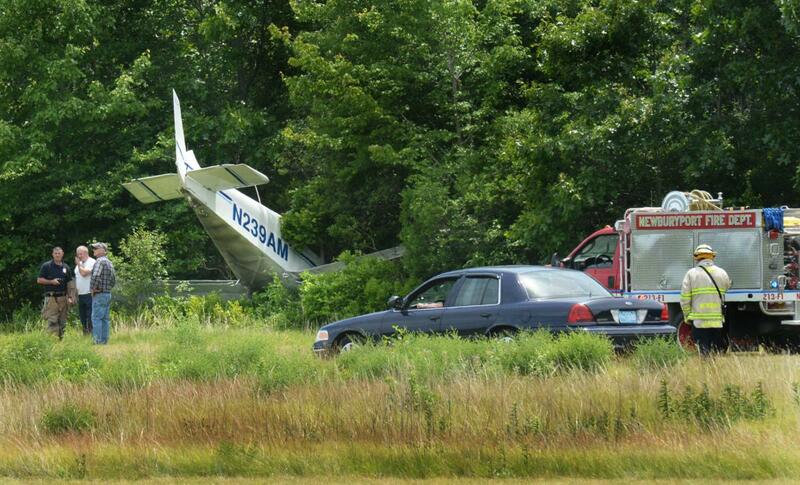 The pilot reported that he entered at the traffic pattern at 2B2 following an uneventful flight from PWM. The windsock showed a 20° left crosswind between 9 and 11 kts for runway 28. The approach to runway 28 was stable at 65 kts and the airplane was configured properly over the threshold. After crossing the threshold, the airplane descended and drifted to the left. The airplane was no longer over the runway, so the pilot elected to go around. He added full power and the left main gear struck the grass next to the runway. The airplane was not gaining altitude and continued to the left. He retracted the flaps with the hope of gaining altitude; however, the airplane did not climb and the stall warning horn activated. 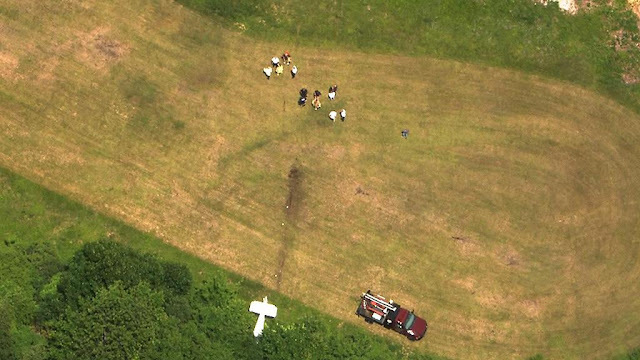 He pushed the yoke forward to avoid a stall and the airplane touched down on the grass and then collided with trees. 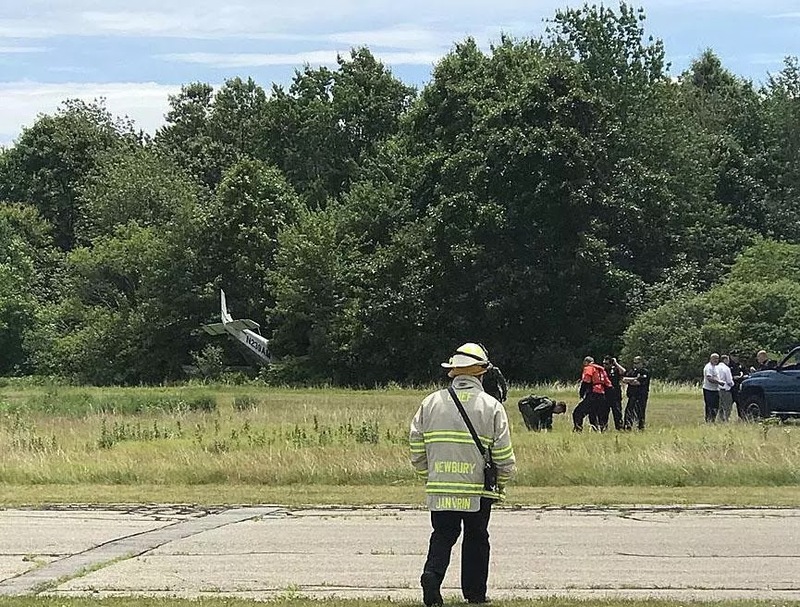 An inspector with the Federal Aviation Administration responded to the accident site and examined the wreckage. 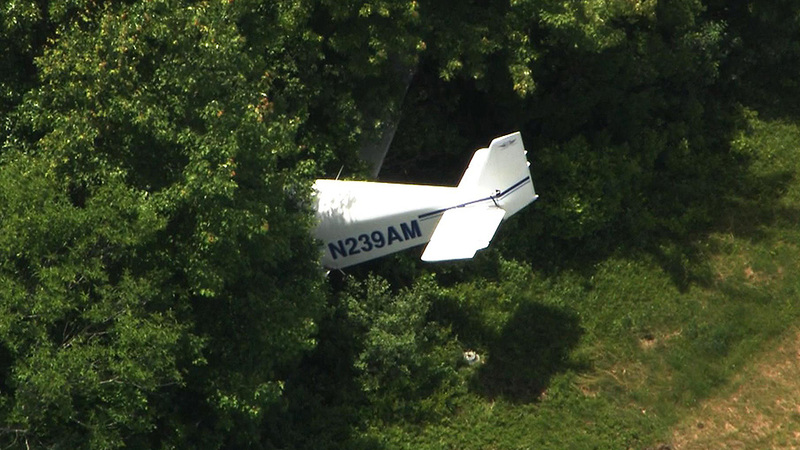 He reported that the airplane came to rest in an area of thick brush and trees. There was no fire. The wings and fuselage sustained structural damage. The nose when was separated and found about 8 ft west of the main wreckage. The propeller and spinner were separated from the engine. An examination of the runway revealed no skid or tire marks that would indicate touchdown on the paved surface. The first indication of touchdown was found in the grass, about ½ way down the 2,105 ft runway and 200 feet left of the runway edge. Several propeller slash marks were found in the ground, 20 ft west of the initial touchdown point. A stand of trees was located south and west of runway 28. 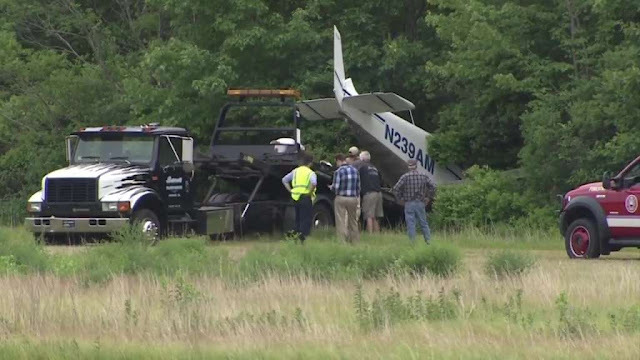 The pilot reported 149 hours of total flight time, including 22 hours in the accident airplane make and model. He reported that there were no mechanical malfunctions of failures with the airplane prior to the accident. I think his instructor should have taught him not to retract flaps while the plane is trying to get off the ground. Usually this happens more often at high altitude airstrips.